Create the life you desire by learning the basics of the Law of Attraction in this 60-minute webinar. SEDONA, Ariz. - May 10, 2018 - PRLog -- Most people come to the belief that they are underserving of wonderful blessings in their life, however this is simply not true. Through the Law of Attraction, you are able to explore the ability to cultivate your own reality and understand the driving force between the outcomes in your life. Everyday, you are creating your new future starting with a single thought - either consciously or subconsciously. According to the Law of Attraction, like attracts like in this creative universe. In order to become successful, your thoughts (conscious and subconscious), words, actions and feelings must be in alignment with success. You will only succeed as much as either of these factors allows. For most people, the subconscious thoughts are what holds them back from truly having the life the desire. 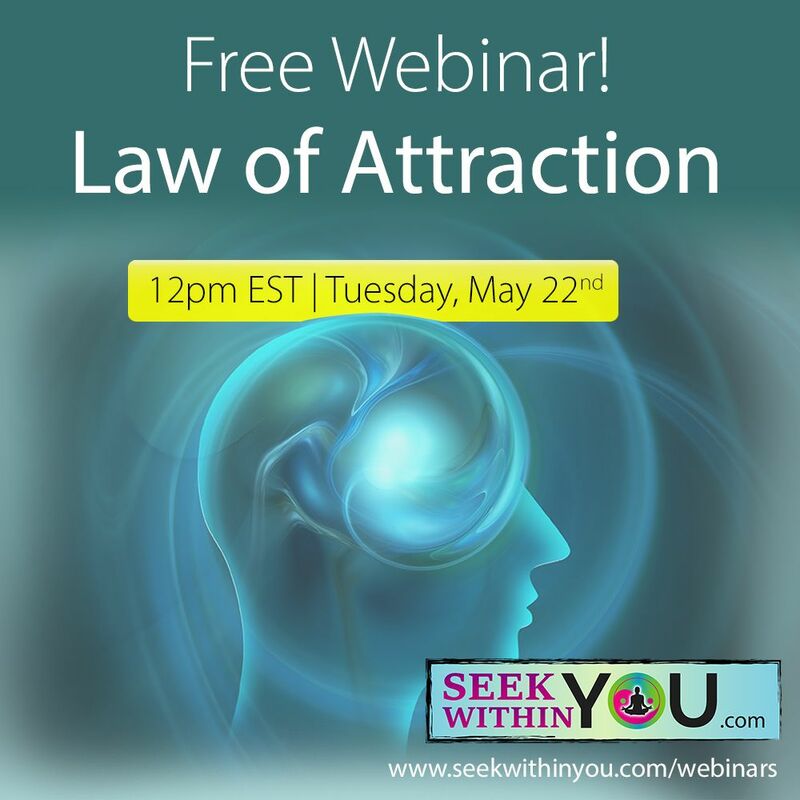 Join Shawngela Pierce of Seek Within You for a free webinar on an introduction to the Law of Attraction. Shawngela is an author; meditation, law of attraction and spiritual life coach. She has a master's degree in education with over 15-years of meditation and teaching experience. "You have the power within you to change your life, including your health." - Shawngela Pierce, Seek Within You. Shawngela has always had a strong relationship with her inner self and always felt there was a disconnect from what she internally felt and what was taught by society.Through her journey of self-discovery and healing, she was led to pursue a career in coaching with the mission of awakening and inspiring others to the true power that lies within them. Shawngela does this through accessing her inner guides, whom she affectionately calls IAM. They are the guiding force of her teachings. New Book for Health and Healing with the Law of Attraction!